Iconic tribute act The Bootleg Beatles will perform every era of the Fab Four’s legendary career from The Cavern to The Rooftop on Thursday 3 December. With well over 4,000 concerts in more than 40 countries, this show has developed a huge reputation worldwide. Not only will you be astonished by the voices and instrumentation but every nuance of John, Paul, George and Ringo will be replicated in painstaking detail from their perfect inflection and witty banter to their frequent costume changes. 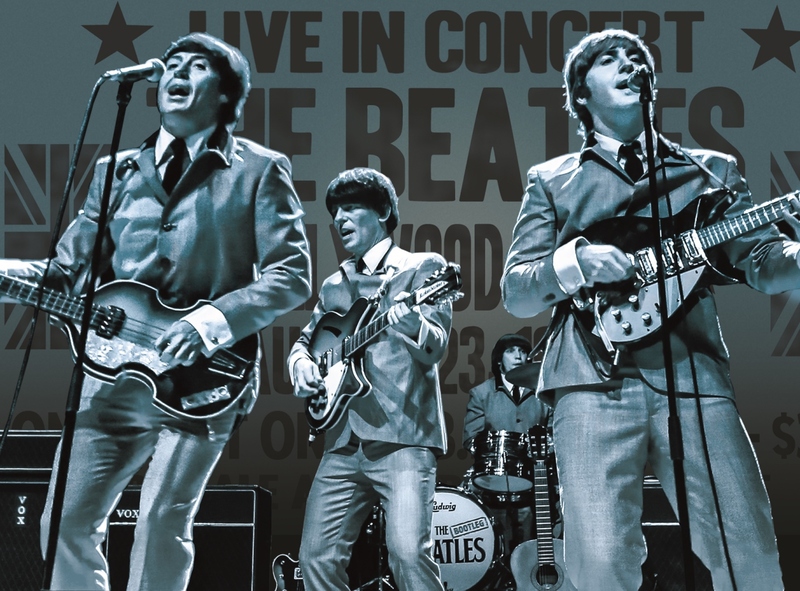 Each song is accompanied by awe-inspiring video imagery and with a little help from their orchestral friends; this promises to be a not-to-be-missed spectacular for ‘Beatlemaniacs’ of all ages! Be prepared for all the timeless classics from Love Me Do to Hey Jude. The band formed in March 1980 from the West End cast of the Broadway musical Beatlemania almost 10 years to the day after Paul McCartney announced the original band’s split. Their first gig was a now long forgotten student’s bash in Tiverton, Devon. Yet, none of them could’ve anticipated what happened next as they conquered the world much like the four working class Scouse lads once did. Quite simply, The Bootleg Beatles are the closest you’ll ever get to seeing the Fab Four live onstage again. Experience their stunning show live at St David’s Hall! Tickets are priced £28.50 (plus a Ticket Service Charge of £2.95 and an optional 95p postage fee).